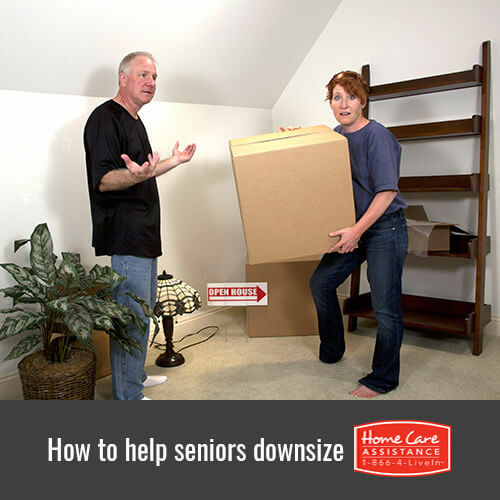 By the time seniors reach their golden years, they may have accumulated a large amount of material items. Some of these may be essential to daily living, others may have sentimental value, and some may be nothing more than junk. Because a buildup of clutter can be dangerous for seniors, it might be time to help your aging loved one get rid of the things he or she doesn’t need. The staff at Home Care Assistance, a leading provider of home care in Oakville, has some tips to help you and your loved one accomplish this project. For many seniors, old pictures and albums are the most difficult items to get rid of. They often see these possessions as part of their history and something that can never be replaced, but creating digital copies could help clear away some of the clutter. Personal scanners are more affordable than ever and can easily be set up with just a few simple clicks. The idea of tossing old belongings in the trash is a difficult concept for many seniors to accept. One way to alleviate the feeling of wasting old possessions is to pick a handful of charities that would benefit from having your loved one’s items. Look for drop-off bins that accept things like old clothes and extra books. If there aren’t any nearby drop-off locations, call your loved one’s favorite charities to see if they can pick the items up. Trying to clear out an entire home in a single weekend is a difficult task. Instead, you might want to pick 2 or 3 weekends over the coming months to organize your loved one’s home and start making piles of things to keep, things to donate, and things to throw away. Possessions your loved one is not ready to get rid of can be placed in boxes and stored out of sight between visits. After a few months have passed, anything he or she did not need or use can go. Helping your loved one clean out his or her home doesn’t need to be a monotonous chore. As an alternative, turn the project into a relaxing social visit as you slowly go through your loved one’s belongings. You can even take a break for a bite to eat. Having a few family members come over to help your loved one declutter is a great way to spend time with one another while doing something productive. Getting rid of items that may have once held importance can be a difficult experience for your loved one. If he or she needs emotional support during the decluttering process, reach out to Home Care Assistance. We offer hourly and 24-hour care, and we also offer comprehensive Parkinson’s, post-stroke, and dementia care for Oakville seniors for need more extensive assistance. For more information and to schedule a free consultation, call one of our qualified Care Managers at (519) 590 2792.